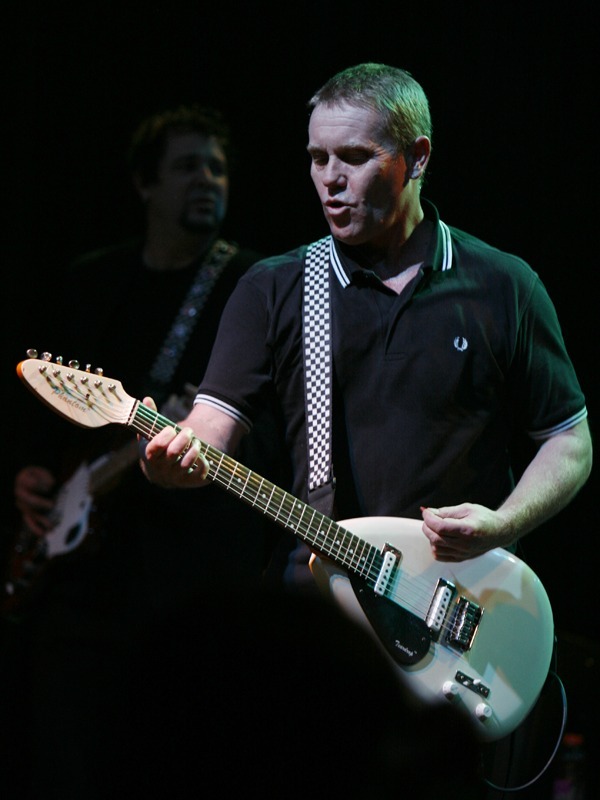 After years of touring under the English Beat banner, frontman Dave Wakeling now is turning his attention to recording brand-new music, launching a PledgeMusic campaign to help crowdfund a new record that would be the Beat’s first since 1982’s Special Beat Service. Wakeling’s campaign is currently at 36 percent of its unspecified goal, with 50 days remaining. As with any such crowdfunding campaign, fans can donate varying levels of cash, and receive varying incentives in exchange, from CDs, vinyl and T-shirts to a phone call and voicemail from Wakeling ($200), a jam session with Wakeling ($500) and a ride on the Beat’s tour bus for two U.S. dates ($1,500). Additionally, 10 percent of any money raised above the goal will be donated to Doctors Without Borders. Any new album issued under the Beat’s name would be the first in 32 years. The band released three albums — 1980’s I Just Can’t Stop It, 1981’s Wha’ppen? and 1982’s Special Beat Service — during its original incarnation. Wakeling’s current version of the band, however, does not feature Ranking Roger or any of the band’s other original members. You can also hear some early demos of the new music on Wakeling’s PledgeMusic page. Plus, tour dates galore below. This from the guy who was responsible for the band’s original break up. This will be a Dave Wakeling solo album regardless of what he thinks. I have seen plenty of video footage of Dave’s so called English Beat and the Beat they certainly are not. Now Roger has a version of The Beat here in England and until recently they sported 3 original members and I got to see them live a few years ago and must say they were just out of this world. How many original members does Dave’s version have i wonder? Hmmmm. Can’t really call them The Beat can they? Dave admitted on bands re-united that he left the band purely for more money and, that is how it looks when he plays live….Just for the money. As Charles said,It will be a solo effort and i doubt a very good one either. If there’s no Ranking Roger, it’s not even a proper General Public release! To say nothing of the absence of Dave Steele, Everett Morton, and Andy Cox. If they were all involved in this, I’d gladly open my checkbook. As it is…… like others have already said, this appears nothing more than a Dave Wakeling solo project trying to capitalise on the name of something bigger than he ever was. Ranking Roger’s version of the Beat is more ‘authentic’ simply because his line-up at least includes Everett Morton. I hate it when once-great bands do this! I’ve seen Dave’s version of the band 3 times now and he/they are great. Nevermind the silly comments above. wanker. hundreds of bands put together albums every year without begging the public to fund it. record it then let it sell on it’s own merits. Ah yes, typical commentary from the same crowd who probably whines “No Hooky, no New Order.” Saw Dave’s ensemble recently and I have to say they sounded tip top, never missed a note. Gladly chipping in what I’d pay for an album anyway.